Let's say you want to ensure that a column contains text, not numbers. Or, perhapsyou want to find all orders that correspond to a specific salesperson. If you have no concern for upper- or lowercase text, there are several ways to check if a cell contains text. You can also use a filter to find text. For more information, see Filter data. Select the range of cells that you want to search. 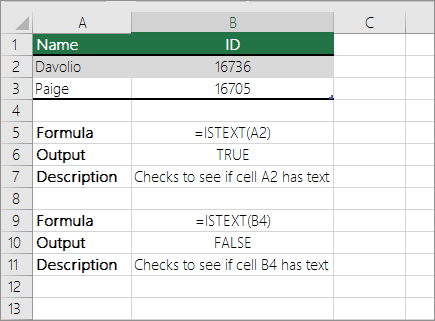 To search the entire worksheet, click any cell. On the Home tab, in the Editing group, click Find & Select, and then click Find. In the Find what box, enter the text—or numbers—that you need to find. Or, choose a recent search from the Find what drop-down box. Note: You can use wildcard characters in your search criteria. 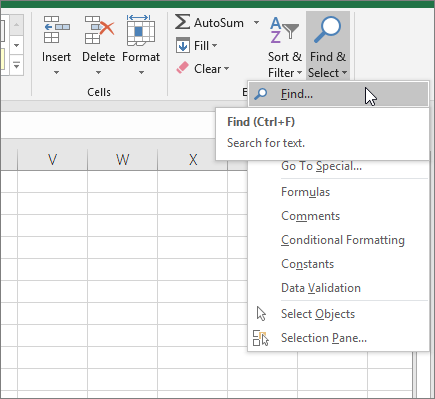 To specify a format for your search, click Format and make your selections in the Find Format popup window. Click Options to further define your search. 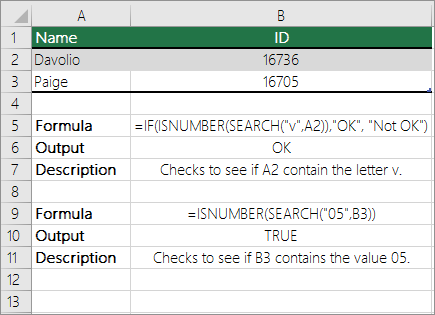 For example, you can search for all of the cells that contain the same kind of data, such as formulas. In the Within box, you can select Sheet or Workbook to search a worksheet or an entire workbook. Click Find All or Find Next. Find All lists every occurrence of the item that you need to find, and allows you to make a cell active by selecting a specific occurrence. You can sort the results of a Find All search by clicking a header. Note: To cancel a search in progress, press ESC. To do this task, use the ISTEXT function. 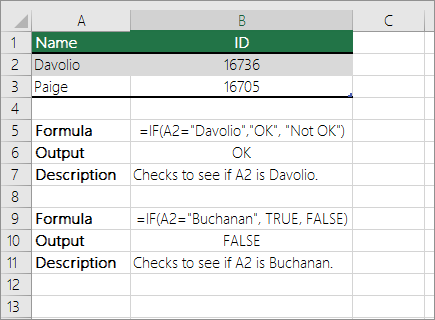 Use the IF function to return results for the condition that you specify. To do this task, use the IF, SEARCH, and ISNUMBER functions. Note: The SEARCH function is case-insensitive.